cdcindonesia.com - The enthusiasm of all job seekers in the morning, the following is information about job vacancies coming from monetary institutions in Indonesia, namely:Bank Indonesia - BI is the central bank of the Republic of Indonesia. 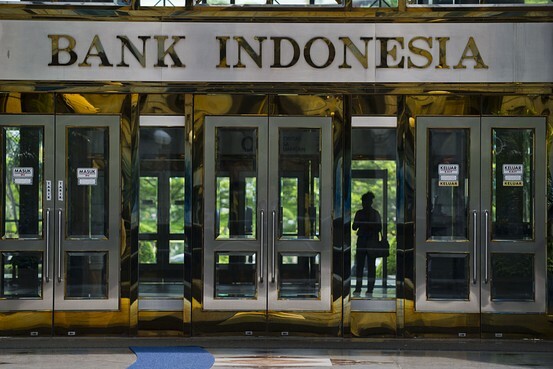 Bank Indonesia is an independent state-agency in Indonesia which was formed by the Government of Indonesia with main objective to achieve and to maintain the stability of the Indonesian currency Rupiah (IDR/Rp). Bank Indonesia was established on 1 July 1953 as a nationalization results of a Dutch bank dating from colonial time named De Javasche Bank (The Java Bank).The Governor and senior deputy governor of Bank Indonesia are nominated and appointed by the President of Republic of Indonesia with approval from the People's Representative Council (Dewan Perwakilan Rakyat/DPR). Perry Warjiyo is the current governor of Bank Indonesia. Minimum S1, preferably from the Faculty of Economics (Management and Accounting Study Programs), Banking and Agriculture (Socio-Economic Study Program). The candidates from other departments with relevant work experience are welcome to apply. Required experience in the field of Micro, Small and Medium Enterprises Development at least 5 years, especially in training and or research. Have experience in assisting MSMEs in the field of Digital, Creative Economy or Tourism Village development will be an advantage. Minimum age of 30 years and maximum age 58 years old. Preferably local resident and domiciled locally. Latest date 11 April 2019. All applications are appreciated and will be treated confidentially. Only qualified, short-listed applicants will be invited for furthers process.